Mother’s Day is a perfect time to thank your mom for everything you have in your life. This day is definitely not about expensive gifts, but your mom will be happy to get something special on “mom’s day.” If you are running out of time and you still don’t know what to buy for your mom, making a gift basket may be a fantastic idea. I love gift baskets because it’s so exciting to discover all the wonderful, small things inside. Moreover, one of the best things about gift baskets is that they need no wrapping and you can put anything you wish in them. Time flies so don’t waste it – pick one Mother’s Day gift basket idea and start making your basket right now. If your mom is a huge chocolate fan, the chocolate gift basket will be a great surprise for her. From chocolate-covered treats to chocolate bars, you can include any chocolate treat your mom loves. 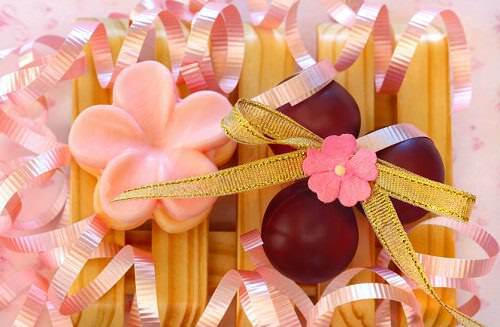 The chocolate gift basket is quick and easy to make, but it may be a bit expensive gift, though I think your mom deserves it. Working in the garden is good for our health. Whether your mom is a new or experienced gardener, she will definitely be happy to receive a gardening gift basket. You can include some flower seeds, vegetable seeds, herb seeds, garden tools and books. May is the perfect time for gardening so your mom will have enough time to plant and grow her own vegetables to make healthy salads during the summer season. When it comes to book gift baskets, the possibilities are endless. If your mom is an avid reader who can’t imagine a day without reading, then this Mother’s Day gift idea is worth trying. You don’t have to put dozens of books in your book gift basket, don’t worry. 2 to 3 books will be enough to make your mom smile and happy, not to mention to help her save some cash on her favorite books. Perhaps, this is the most popular Mother’s Day gift basket idea many people use these days. If your mom can’t afford to spend a day at the spa (and you can’t either), or she is too frugal to purchase some spa products for herself, making a spa gift basket for her is a great way to show your mom how much you care and appreciate her. Facial masks, scrubs, bath oils, lotions, bath salts, shampoo and hair masks are all useful beauty products you can put in your spa gift basket. My mom is a makeup junkie (that’s probably the main reason why I love experimenting with makeup) so I often wow her with some new makeup products. This year, I’m going to surprise my mom with a big makeup gift basket on Mother’s Day. I know she will love it and use those makeup products for months. If you want to make a makeup gift basket for your mother, consider including mascara, eyeshadows, eyeliners, makeup sponges and some BB cream in your basket. Most women are huge movie lovers. We love binge-watching our favorite movies and TV shows, and can’t resist the temptation to munch on oh-so tasty popcorn. If you want to create a movie gift basket to wow your mom on Mother’s Day, include her favorite movies, popcorn, healthy snacks and drinks in it. You can also add in two movie tickets for your mom and dad to have a little date. This gift basket can also help your mom save money this summer. Summer gift baskets typically contain sunscreen, beach towels, pareos, beach hats, swimsuits, beach bags and sunglasses. You can add anything you think or know your mom will need this summer. Give your mom the gift of wellness on Mother’s Day. Add your mom’s favorite fruits to your gift basket, or include some exotic fruits she’s never tried. Jackfruit, guava, mangosteens, rambutan, durian, and mamey sapote are some of the most unique exotic fruits to try. You could also add in some easy fruit pie and smoothie recipes. Hopefully, my last-minute Mother’s Day gift basket ideas helped you choose the best gift for your mom. Gift baskets are relatively pricey, however, we celebrate Mother’s Day just once a year so it’s okay to splurge on the gifts for our moms, isn’t it? Have you already picked the gift for your mom? Do you have any other Mother’s Day gift basket ideas? Feel free to share them with us.